Live at the Roseland Theater, Portland, OR, September 19, 2007. EDIT: The band surprised us with their anti-Bush statements from the stage. The Flaming Lips, political? The band asked American voters to vote president George W Bush out of office to stop the war [Tk 15]. From the stage they mentioned how the Yeah Yeah Yeah song has evolved into a protest song [Tk 16] with a call and response that works so well - "with all your power, what would you do? ", they ask. The Lips also add the mournful Taps [CD2 Tk 2] as an intro to Waitin' For A Superman. Quite a bit of time is spent explaining the bugle's use or uselessness as it is only played at military funerals. "Is it getting heavy?" in the Superman song is like asking "do we need to stop the war?" No need to reply. When a band like The Flaming Lips use vulgarities, you know the world's getting angrier. Popular and independent might be a way to describe The Flaming Lips, who can be said to be descendants of Nirvana! There is a populist streak to their songs - Race For The Prize is so catchy and so recognisably Flaming Lips that it can't be mistaken for anyone else. As for being independent, who would have thought that all the swearing onstage did not seem odd but came across as a part of the band's make up. They certainly do not toe any lines. While one does not generally see The Flaming Lips as stadium rockers, they do have a visual flair to their shows. For example, at the Roseland Theater in Portland on September 19, 2007, here is what Lips fan Pete Best commented on his blog: "Huge symphonic arrangements. Giant blue balloons floating in the audience. Six dancing girls in Santa outfits stage left, six dancing girls in outer space mini-dresses stage right - all aiming high-powered flashlight beams into the crowd. Giant video screen with psychedelic imagery. Large billowing clouds of smoke from the dry ice machine. Strobe lights. And confetti. Lots and lots of confetti. And that was just the first song." 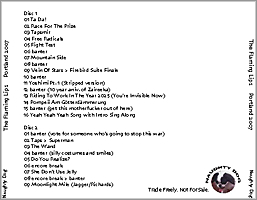 As for the show's highlights - some would see the Lips covering the Rolling Stones' Moonlight Mile as a show-stopper while others the singalong to Yoshimi Battles The Pink Robots. Thanks to yltfan who shared the lossless tracks on the internet. 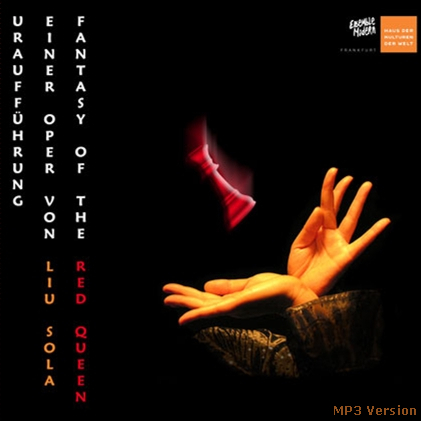 While yltfan had the soundboard tracks, this recording is augmented by an audience recording by robertd. The result is an excellent-sounding matrix blend by thir13en. Music fan Stutter commented: "I'm an audience guy. And generally anti-matrix... but this stuff is one of the best ROIO I've ever heard." yltfan adds: "I should have mentioned that the noise that is present in a few spots is from different toys the band uses. The loud pops are confetti cannons or balloons exploding right in front of the mics (yikes! ), and the hissing during Do You Realize is a smoke/confetti sprayer thing that they left on for a while, totally filling the room with confetti." Note: Readers might want to skip this if there are offended by strong language. As Lips fan Pete Best notes: "Wayne Coyne... dropped more 'motherfuckers' than Snoop Dogg." 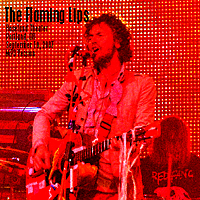 Click here to order Flaming Lips albums.